The basic idea of Feng Shui is that your possessions, wellbeing, relationships and finances can be affected by the surrounding and the condition you live in. People have felt instant transformations in their health and wellbeing through Feng Shui which is why a lot of emphasis is being given to it in this day and age. So if you were thinking about incorporating the principles of Feng Shui in your house then you don’t necessarily have to start off with really complex steps. You could just start with house basics and move your way up. So here are some simple steps to bring good Feng Shui in your house. Start off by the simplest step which is to clean up your space. Tidying up your space can actually motivate you to do more for your house in terms of home décor because it is the first step that you just can’t miss. This will instantly bring about positive energy in your house and you will be able to notice it. Air and light are two important elements in any house so it is important to let them in. By keeping the windows open and full spectrum lights you will be able to do that. Make use of air purifiers and mirrors to enhance air and light in your home. If you live in a relatively dark neighborhood with limited windows then mirrors can help in brightening up your space if you place them at the right angle. It is not uncommon for floors or door hinges to make squeaky sounds as they get old. Some people get so accustomed to the sound that they don’t even pay attention to it but squeaky noises almost feel like your floors or doors are letting out a cry which can have a bad effect on your mood. Plenty of people find it easier to park their car in the garage and use the backdoor. But the door that you take determines where Chi flows into your house from. But from a Feng Shui perspective you will miss out on good opportunities and positive energy if you keep on doing this. So it is better to at least use your front door some days of the week and eventually make a habit of it. Bathrooms are areas of concern for a lot of people because water is directly related to wealth in Feng Shui and water being wasted means wealth flushing away. While water comes back after being drained, you need to be safe anyway so to do that keep your toilet seat cover down and bathroom door closed. It’s a common norm these days to keep televisions in rooms and a lot of people do that, which is fine as long as you keep the television covered when you’re not using it because the active energy associated with it can disrupt your sleep. Author Bio: This article was written by Rida Maqbool. She is an avid writer and a content curator at Alrug.com. You can follow her on Twitter @ridamaqbool02. This entry was posted in Guest writer's note, Interior Design/Home Decoration and tagged chi, feng shui, healthy, home, home decor, interior designs, wellbeing. 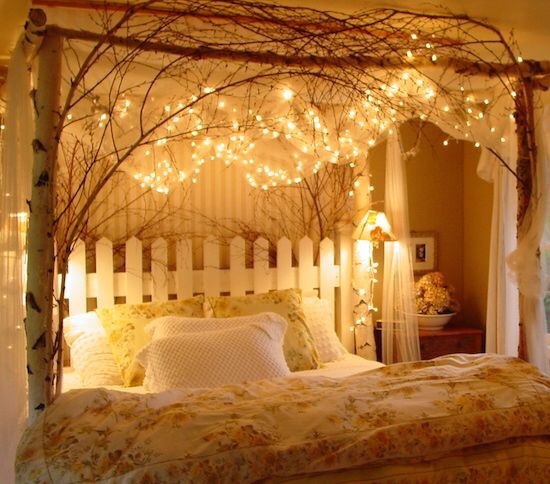 Guest Post: 5 Types of Chairs for Your Bedroom! Furniture characterises a home. It is thought to be the establishment of each home and a necessary some portion of its stylistic theme. Presumably the principal thing that you will buy when you move to another home or revamp the old one is a decent household item. Be that as it may, picking the correct sort of furniture inside reasonable costs is a repetitive undertaking and this is the place a hefty portion of us fall for the wrong sorts. Furniture patterns differ every once in a while. Consistently; we go over some awesome patterns to take after in the furniture business. Be that as it may, we need to limit ourselves from running over the edge with our funds since outfitting things are constantly have a tendency to be moved towards the costly side. This is the very reason that furniture things ought to dependably be precisely chosen since they will not be anything but difficult to supplant. One of the fundamental tips while deciding on furniture to buy is not to trade off or compromise on the quality. 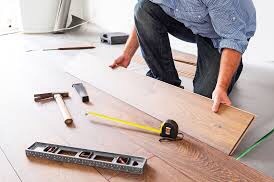 Your furniture ought to be sturdy and you ought to concentrate on quality over amount at whatever point you plan to supplant the old furniture in your home or settling on purchasing fresh out of the box new. Gone are the days when room furniture just incorporated the ace bed with bedside tables and headboards. Nowadays, restrictive room couch sets with end tables are especially in pattern and individuals have supported this pattern extremely well. In addition, you can likewise go for calfskin made couch sets with differentiating pad sets and they will look totally agile. A room is fragmented without the great old recliner added to its stylistic theme. 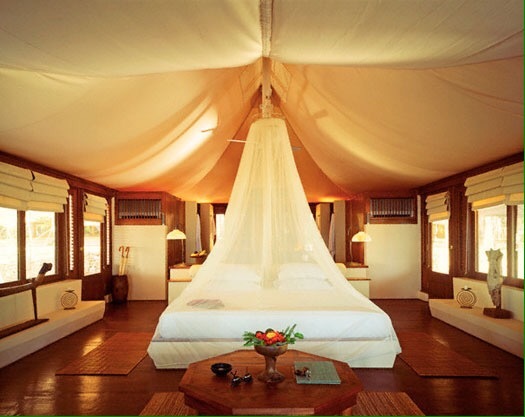 Not just that it will give your room a conventional look, it additionally offers you your very own private space held in your own particular room where you can simply take a load off while perusing your most loved book. Simply go ahead and get one for your room today and give yourself that additional treat of including an extraordinary outfitting thing for your room. Still especially in form; bedside tables have never left style. Accessible in a wide range of sizes and outlines that you can get your hands on; bedside tables are thought to be a basic piece of room furniture. Include coordinating bedside table lights and perceive how excellent the stylistic layout will look when it will offset the whole feel of your room. Having excellent extras in the room makes it more worth living and unwinding. Since summer season is practically around the bend; it is high time to dispose of the old bed sheets and sofas and say yes to shiny new plans of wonderful sofa-bed sets alongside coordinating pads and pads sets today! An extremely one of a kind yet classy furniture thing that has turned out to be tremendously prevalent over the current years and guarantee greatest solace levels is your most loved calfskin lounge chair. Already; having a cowhide love seat in your house was thought to be a front room frill yet the pattern has generally changed at this point. Thus, simply ahead and purchase a lovely bit of calfskin sofa today! This entry was posted in Guest writer's note, Interior Design/Home Decoration and tagged bedside furniture, couch, decor, furniture, home, leather, rocking chair. One of the biggest problems that most households face is a leaking toilet tank. As a homeowner, it’s crucial to understand the primary causes of toilet tank leaks so as to avoid serious leakage problems in your home and also save on rising water bills. Over time, your toilet flapper can break at the hinge or warp and start leaking. A broken, worn, warped, or dirty flapper that doesn’t close tightly enough is one of the main reasons why your toilet tank may be leaking. To identify any of these potential flapper problems, first flush your toilet to drain the water out of the tank. Carefully unhook the flapper from the tank base and have a closer look at its condition. Discoloration: A sign of warping, meaning flapper replacement is needed. Breaks in the rubber or plastic: Disconnect the old one and replace with a new one. Select the matching flapper for your toilet tank. Mineral deposits or debris buildup: Clean off any buildup that may be preventing the flapper from closing properly or functioning as expected. If your toilet tank chain is too short, too long, or broken, it could be causing toilet tank leaks. 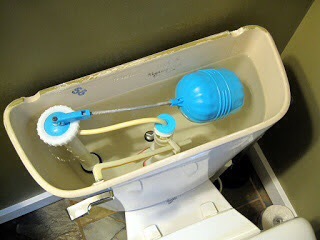 You should check the chain’s connection between the rubber flapper and the flush level. If the chain is constantly pulling on the flapper even when the flush level is at rest, then your chain is too short. If the lift chain is too long, you’ll need to move the clip down for the correct adjustment. If that doesn’t fix your leakage problem, you can replace your chain with any aluminum ball chain or one that’s longer. A correctly fixed chain should be loosely floating on the surface. Cracked toilet tanks are a common problem in households and in most cases require replacement. Cracks cause leaks into the toilet bowl as well as your bathroom. If the cracked or damaged holding tank is not replaced, you’ll end up wasting a lot of water, money, and risk significant damage to your floors. Call a professional and licensed plumber who has worked with expert businesses like the Contractors License Resource Group to replace the toilet tank. Troubleshooting can easily fix most problems with leaking tank toilets. You can also replace parts that are damaged or malfunctioning due to wear after repeated use. If there are persistent leaking problems that cannot be fixed, you may have to consult a certified plumber. 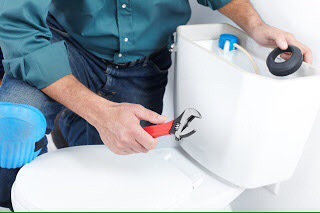 A professional plumber will help you address your leaking problems and offer a variety of services to help mitigate the damage resulting from your leaking toilet tank. Shirley Moore is a licensed plumber offering services to homeowners in Los Angeles, California. She has more than 20 years of plumbing experience and owns and manages her own plumbing company. She has a passion for working with homeowners to fix common plumbing problems through simple solutions. This entry was posted in Guest writer's note, Interior Design/Home Decoration and tagged decor, plumbing, tank, toilet, water. Guest Post: New Home? New Locks. Settling into a new home is exciting no matter whether you have moved a few streets or to a new city. Your first course of action is to settle in – unpacking and maybe some decorating and painting. Feeling comfortable in your new home is important, whether you own it or not. Security can seem a bit like an afterthought but it actually affects how comfortable you end up feeling in your new home. One of the easiest ways to improve your security, especially if you own your new home, is to hire a professional home and auto locksmith to come rekey your home. After all, unless it’s a brand new home, chances are there are multiple previous owners who still have keys. Not including the ones they’ve misplaced since leaving. The locksmith you hire will likely give you many options for improving the security on your locks, but it really boils down to 2 options: rekeying or replacing. You can choose to have them simply rekey all the locks in your house or completely remove the existing locks and install a new one. Either option will give you a new set of keys in the end. The difference is that replacing the locks will cost more, but it will upgrade your security more than just rekeying. Especially if the old locks are well, old and outdated. If your house is still fairly new rekeying is a fine way to go and is usually less expensive. In fact, there are articles online that show you how you can do it yourself. But, even if you are handy, when in doubt, hire a professional. Nothing would be worse than locking yourself out of your own home and having to call a locksmith anyway, and that would probably end up costing more than just calling them to rekey in the first place! Of course another important factor in your choice between new locks and rekeying is simply how the existing looks look. Are they worn? Scratched? Rusted? If so, a new set of locks is the perfect way to spruce up the look of your new home and add another of your own personal touches. Either way, you can rest easy each night in your new home knowing you and your family are the only “keyholders”. This entry was posted in Guest writer's note, Interior Design/Home Decoration, Uncategorized and tagged guest note, house, interior decorations, keyholders, keylocks, new home, rekeying.